Opening Play / Stop / Pause | Esc.rec. 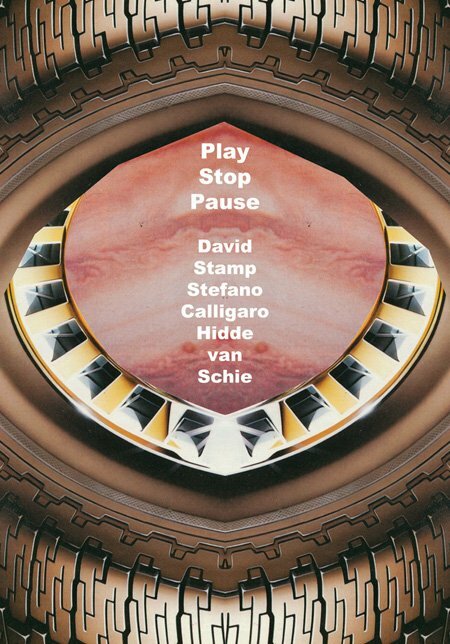 From the 24th of April till the 23rd of May the exhibition ‘Play / Stop / Pause’ by Stefano Calligaro, David Stamp and Hidde van Schie is on display in Havenkwartier Deventer. The opening is on Friday, April 23, 20:00 hrs. with a concert by Hidde van Schie (whom you all know from his latest free download release on esc.rec. ofcourse). Please do come and check it out. Well worth it!